This list will be kept up-to-date over time as more courses are released, currently, all the learning material is updated to the latest release. 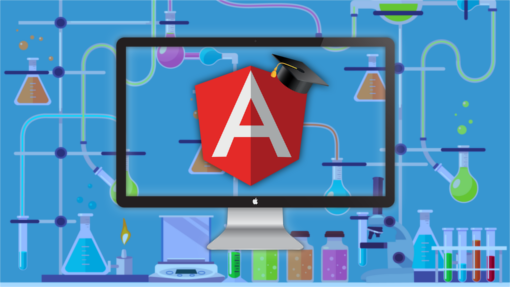 Note that the code for all the courses can be found at the Github page of the Angular University, and each course has several free lessons available. 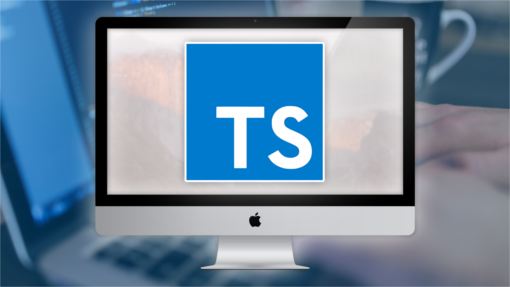 The beginner's course that we will present first is free, the Complete Typescript Course is right next. Setting up an initial development environment that ensures that the beginners have a stable development experience: save and refresh just works! The goal of the course is to explain the most commonly used features and the main concepts of the framework, as these are the features that we will be using most of the time. By explaining first what we will be using the most often, we can give a beginner a quick course that will allow him to already do a lot of things: build components, directives, and pipes and have them interact in different ways. Build services and use the HTTP module, and know how to debug Angular. specifically in the features supported by Typescript 2 ! What you will end up with does not seem like much, but it's what the industry has been looking for for a very long time: a type-safe program built full stack using only one language, based on functional programming principles and sharing some code between the backend and the frontend. I'm pretty sure you will have lots of fun taking this course! 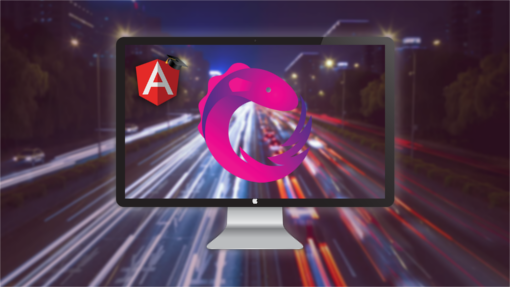 The Angular HTTP module is based on the RxJs Observables module, meaning that the calls that we make to the HTTP service return Observables. 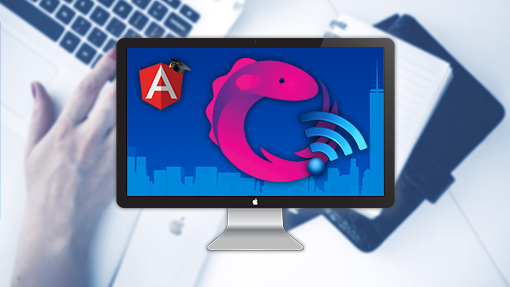 The goal of the Angular RxJs Jumpstart course is to learn how to use the RxJs-based HTTP module effectively, by doing an introduction on functional reactive programming and demonstrating the most common RxJs operators that we will be using to handle HTTP calls. So the goal is not so much to give an extensive introduction to RxJs and cover all operators because in practice we will only be using a small subset. How does Angular HTTP use Observables? The course exercise consists of improving a search service that we developed during the course and then build a Typeahead component. It might look simple at first glance, but there is a lot to building a complex HTML Form, especially if it's the kind of form for creating complex business data, spanning multiple tabs and edit dialog screens and with subtle interdependencies between multiple parts of the form. Getting the validation aspect of a large form right is something that would benefit a lot from using a form development framework. Forms can really be some of the most complex user interfaces that a developer might have to implement! When To Use Template Driven Vs Model Driven Forms, and Why? As an exercise, we are going to build a signup form using a little bit of both template driven and reactive form techniques. The goal is to understand how under the hood both techniques work the same way. Single Page Applications have been around for a while, and they are the usual preferred choice for building authenticated dashboards and enterprise applications and helping us build single page applications is the main task of the Angular router. The router allows us to define what application-level components should be displayed depending on the URL, so it sort of helps us define the skeleton or the main structure of our application. The Angular router is also made to enable a better application performance in general by making it simple to lazy-load parts of the application only when it's needed. This makes the initial application load time faster which really improves the user experience, especially on mobile. In the end of the course, we are going to build a small application dashboard by using auxiliary routes. In the previous courses, we have been covering aspects of the Angular framework in particular, but we have not covered the topic of how to tie everything together and build an application from A to Z. In order for building a complete application, we need to choose something for the persistence layer and for the backend. And a great backend for complementing Angular is the Firebase Backend as a Service solution, also from Google! 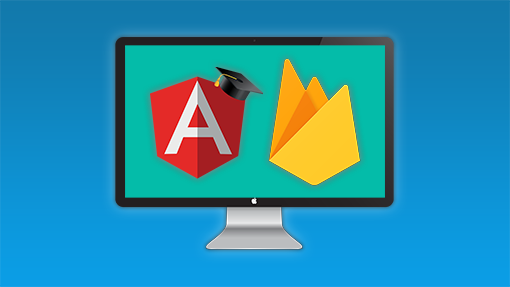 The two technologies are perfectly linked together by both the Firebase client SDK and the AngularFire library. So what better choice for tying all the concepts together than to take Angular, it's Router and Forms Module, use AngularFire and Firebase and build a complete application from top to bottom? Note that we are going to see how we can do a lot of our development in a backendless way (Firebase being the backend), by using the out of the box backend-building capabilities of Firebase. But we are also going to cover how to build custom backends, also using AngularFire and the Firebase SDK, as these two libraries are universal (or isomorphic), and they work both on the (Node) backend and on the frontend. How to use the Firebase Push Keys? How to Write Maintainable RxJs Code? This course is made to be followed by building the application as we present the multiple concepts involved, so the whole course is itself one big exercise. Having said that the lessons will still make perfect sense if we watch them sequentially without building the program as we go along, and have a good learning pace that matches well the two viewing scenarios. 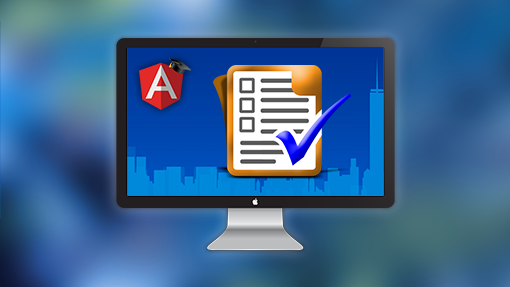 In our mailing lists, we ask developers what is their main difficulty while learning Angular. The very frequent answer that we get is RxJs and Reactive Programming. We have introduced RxJs not as an alternative to Promises but as a set of application design patterns. We believe RxJs is best approached as an implementation of the Observable pattern, and by learning the pattern first and its use cases we will understand the library and its operators much better. 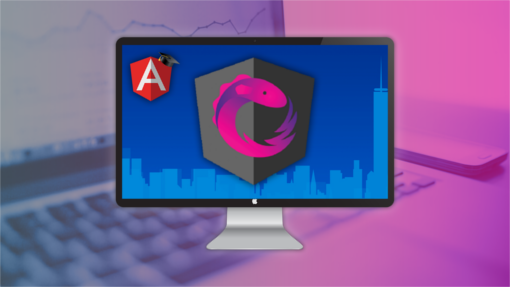 In this course, we are going to do a guided tour of the Ngrx Reactive Extensions library ecosystem. This is an architecture course, so its recommended to first take the Angular For Beginners and the Typescript course to take the most out of it. In this course, we are going to build step by step a chat application that reproduces the situation that the Facebook team faced with the unread messages counter. We are going to solve the problem not by using the original Flux dispatcher. Instead, we are going to use a derived single store RxJs-based solution: The Angular Reactive Extensions Ngrx Store. We are going to build the application using Reactive Programming principles and a set of libraries of the Angular Reactive Extensions (Ngrx) Ecosystem: this will include the Ngrx Store, Ngrx Effects, Router integration, Immutability and OnPush Change Detection. We are going to cover the benefits of Immutability and OnPush change detection, its advantages and disadvantages. 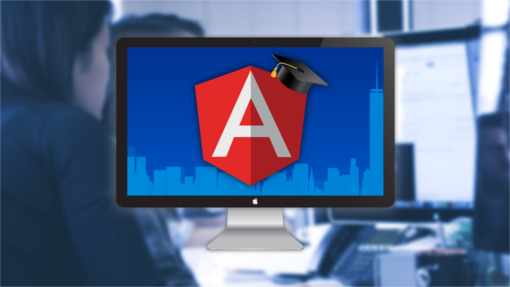 In this course, we are going to dive deeper into the Angular framework, by learning the most advanced aspects of Angular Core. how to design components and directives to make them easier to maintain, making them customizable while at the same time giving the components great default behavior. 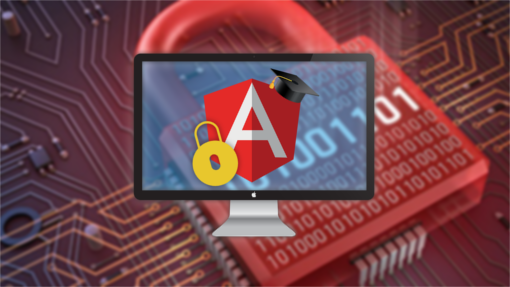 With this course, you will have a rock-solid foundation in Web Application Security Fundamentals, and you will have gained the practical experience of applying those concepts by defending an application from a series of security attacks. You will have done so by actually performing many of the attacks! With this course, you will be familiar with the following security vulnerabilities: Dictionary attacks, Cross-site Scripting or XSS attacks, identity token highjacking techniques, the browser same-origin policy, how to combine cookies with JWTs and why, Cross-Site Request Forgery or CSRF, common design vulnerabilities, and more. You will know common practical solutions for securing both enterprise and public internet applications, such as how to use JWT to delegate authentication to a centralized service, which could be Auth0 or an in-house developed service that follows similar principles. 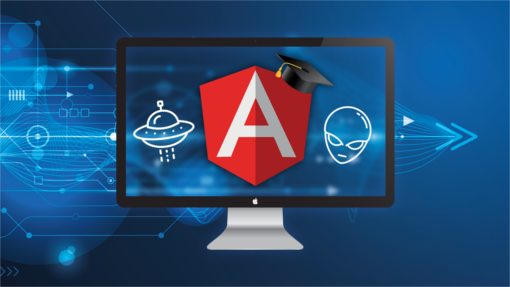 In the first part of the course we are going dive straight into the Angular Service Worker and the built-in Angular CLI PWA support. We are going to take as our starting point a plain Angular Application, and we are going to start adding PWA features on top of it in order to turn it into a Progressive Web Application. We will start by adding the Angular Service Worker and have the Application Download & Installation feature up and running. We will learn all about Application Version Management and we will learn about the multiple caching strategies available for caching not only the application bundles but also the application data. We will then add an Application Shell using the Angular CLI and Angular Universal, and make the application One-Click Installable using an App Manifest. Finally, we will add Push Notifications to the application using the Angular Service Worker, for a complete mobile-like PWA experience. Developing solid form controls, containers, navigation menus and modal components on top of pure Angular still require a lot of time and effort, especially if we are looking for a consistently themed component suite with commonly needed advanced features such as for example great ergonomics, design and user experience (including animations). The good news is that we don't have to do that anymore because together with Angular we now have available an amazing suite of Material Design components, ready to be used! 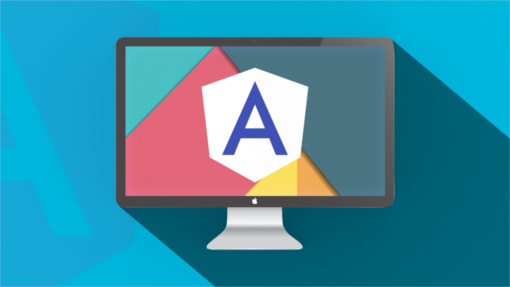 In this course, we will start first by scaffolding an Angular Material application for scratch from an empty folder, add it a theme and gesture support. Next, we will start exploring the Angular Material components starting with some navigation menu and icons. We are then going to introduce container components such as for example Tab Containers and Material Cards, and we will show a complete example of how to use a data table with a data source, pagination, and sorting. We will also show how to use Modals to edit some of the data in the data table, for which we will use multiple different types of form components to build an editable form: date pickers, slider, and more. 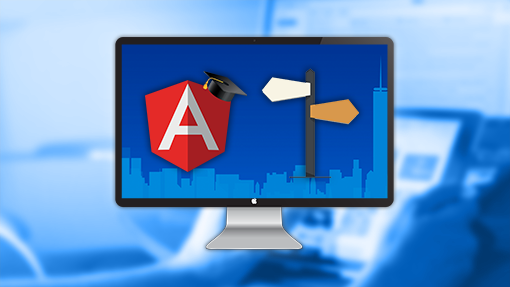 Have a look at the Angular University Youtube channel, we publish about 25% to a third of our video courses there, new videos are published all the time.